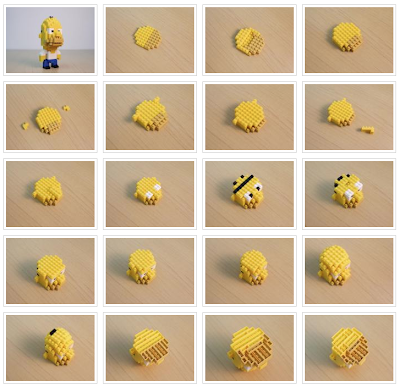 Click here for nanoblock Homer Simpson build instructions. well done. You have done a great job on these nanoblock designs--I commented on the Homer Simpson one because I liked it so much. Glad I found your blog--I will be subscribing. If you want to see my thoughts on Nanoblocks, I have done a few entries on them at my blog.